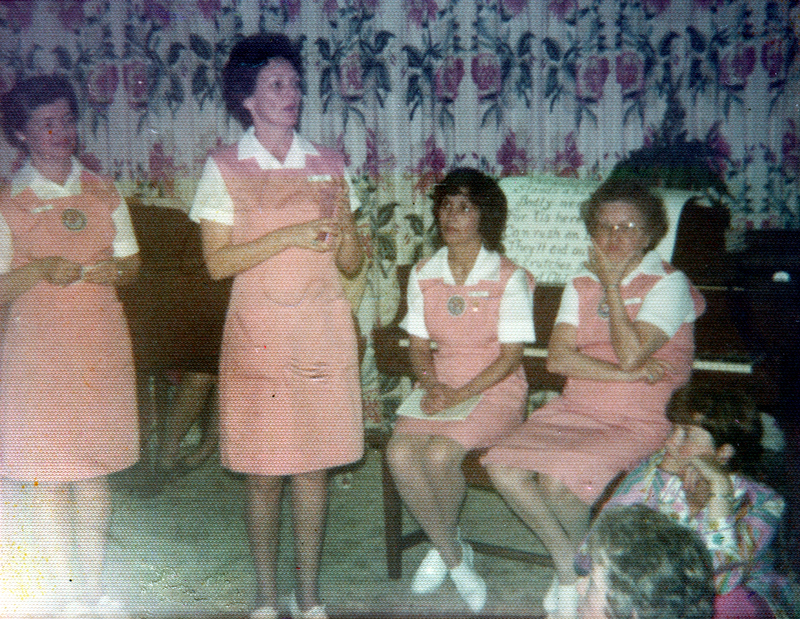 Joyce Wayman (second from left) was Henry Mayo Newhall Memorial Hospital's first volunteer coordinator, staring around the time the Henry Mayo Hospital board and its nonprofit partner, the Lutheran Hospital Society, purchased Inter-Valley Hospital in Saugus and renamed it Hillside Community Hospital in the early 1970s. Wayman made the transition to the new Henry Mayo campus in Valencia when it opened in 1975 and was responsible for coordinating the activities of the SCV Women's Auxiliary, aka the Pink Ladies. Also shown (from left): volunteers Lue Bohac, Madeline Henley and Erra Zahn. At most hospitals, the director of volunteer services is a paid position. Wayman performed the work as a volunteer. She was named SCV Woman of the Year in 1976 for her services to the community.